Property Maintenance is an integral part of properly managing the day to day operations of every type of property. First impressions are sometimes the only impression a potential tenant has of a property. We pride ourselves on maintaining our client’s properties to the same level we maintain our own. Understanding our client’s goals for present and the future helps Lombardi design a road map for success. During our initial engagement we discuss in detail how maintenance is to be handled, how much of the reserves are to be set aside for property improvements and an emergency fund is established for those unforeseen events that come up from time to time. 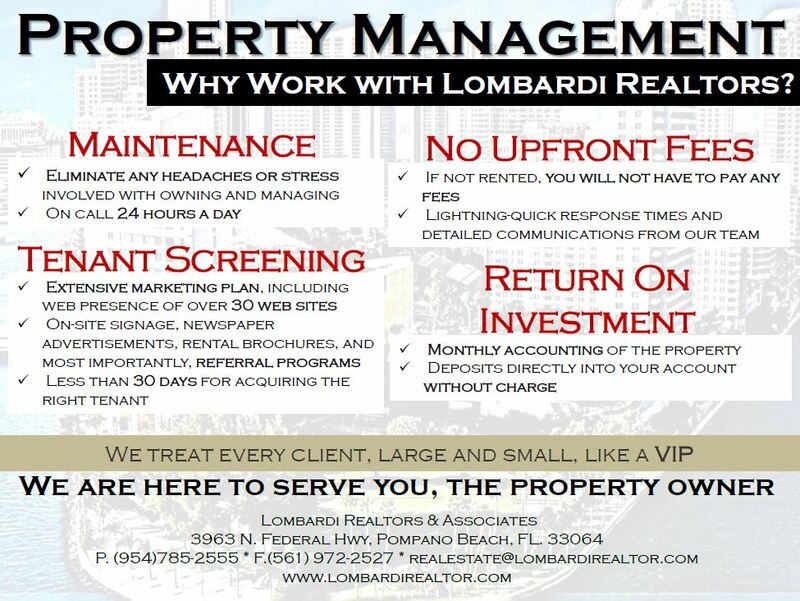 Lombardi Realtors, will provide you with a monthly accounting of the property and deposit the remaining balance directly into your account without charge. If you don’t already own investment property, talk to your financial adviser. You may already own property that could provide valuable income to you. We treat every client, large and small, like a VIP. If your property is not rented, you will not have to pay any fees. If you are not satisfied with our service, you can cancel anytime without any fees! You will always get lightning-quick response times and detailed communications from our team. We are here to serve you, the property owner. We will effectively eliminate any headaches or stress involved with owning and managing a property. We are on call 24 hours a day. Our fees are competitive, and our service aims to exceed. Each month, we will provide you with a monthly accounting of the property and deposit the remaining balance directly into your account without charge. Lombardi Realtors realizes that without qualified tenants, properties would generate no income. Lombardi Realtors has developed an extensive marketing plan, including web presence of over 30 web sites, on-site signage, newspaper advertisements, rental brochures, and most importantly, referral programs. Our average time frame for acquiring the right tenant for your property is 30 days. Our policies have been developed through years of experience. They are fair to tenants yet formulated for the protection of the property owner. Let us help manage your property! Finding the tenant is just the first step. Completing a full background check, matching their application with our individual criteria for each property and verify all the information is correct is one of the most important pieces in professionally managing any property. Understanding the needs and goals of our owners and helping them realize the full rental potential is key to both the success of the owner and Lombardi. Commercial/Retail can produce some of the highest returns in Real Estate Industry. These properties can also cost you the most in lost revenue if you don’t have the right tenants and leases. Lombardi works on behalf of each owner to understand their investment strategies and find tenants who meet their criteria. 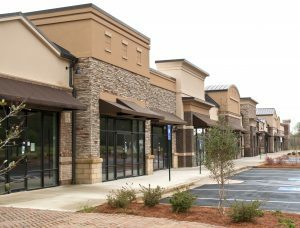 Working on our owner’s behalf for all lease negotiations, tenant improvements, understanding site conditions and or city requirements as well as zoning issues help make each tenant placement a successful one. 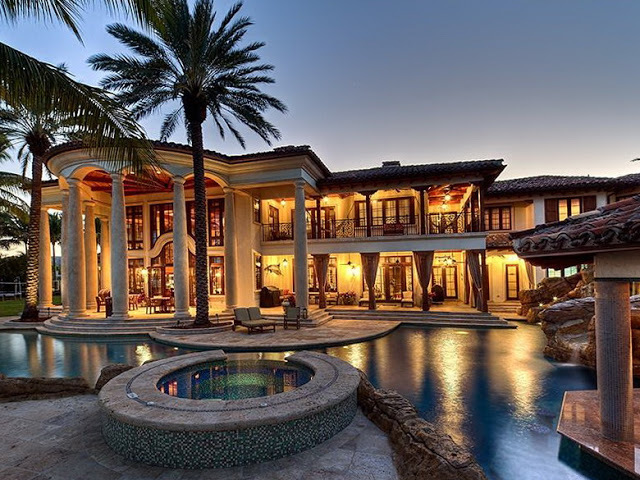 Lombardi Realtors & Associates is a full service licensed Florida Real Estate Brokerage firm. Lombardi has 16 years experience in property acquisitions. We assist our clients in locating all types of properties depending on their needs and portfolios. 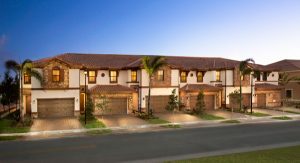 We help our clients find the property that not only meets their financial goals, but that have the most potential for future growth and appreciation. Most Real Estate firms want to list your property, we don’t. We want to fully lease or sell your property.